Dale Swan, from the New Glasgow, NS assembly filed this report for the lostsheepfinders blog at our request. Have you ever thought of asking the shopping mall administration in your area to allow you to set up a booth? Some shopping malls do not allow such a booth – but do not assume they will turn down your request. Pray about it. The Lord is able to open the door for you. 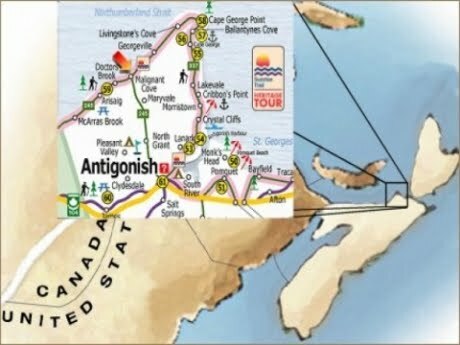 Antigonish is a town with a population of 4200 on the north shore of Nova Scotia. It is home to the highly regarded Canadian St. Francis Xavier University. St. FX houses people from all over the world. The town is often referred to as the 'Little Vatican' by some living there due to the large Catholic population. The ‘Little Vatican’ appears in some of the local tourism advertisements. Gordon Cummings (Blues Mills Assembly) was able to get into the university in Antigonish a number of years ago and was able to distribute literature for quite some time. Then a few years ago Hans Steffensen organized a booth in the Antigonish Mall with seven or eight of us helping out. The fall of 2009 was when we started talking about doing some more Gospel work in the town. We discussed the possibility with the Christians in New Glasgow and other assemblies in the Maritimes. We called the shopping mall and spoke with the administration to see if we could set up a booth to give out Biblical literature, including Bibles and texts. We were granted permission right away. With this permission granted, we started planning the booth and what we would display and give away. We chose a Saturday in May for our first booth and it happened to be Mothers’ Day Weekend which generated a lot of traffic. A number of Christian volunteers showed up from various assemblies to help out. We held a second Saturday Gospel booth in the mall in June, making improvements in our display as well as our location in the mall. Many people stopped by to talk to us and we had conversations with others who had little or no contact with the gospel. We had such a great turnout of volunteers we were able to cover most of the town with Seed Sower texts. We are leaving the results to the Lord, for He and only He is able to bless in salvation. We trust that this is an on-going work that will continue and grow for His glory. That is the goal each time we have had a booth and distributed Seed Sower texts there. Renette Chiasson, one of the volunteers shared her experience. "A lady from Laos (south east Asia) had never heard the gospel before. I had never read John 3:16 to anyone and have to explain (from scratch) who "God's Son" was. Incredible!" It is great to read of the (outside the box) work that is going on in and by the various assemblies in the maritimes,the coffee give aways, the booths the tract distributions ect. The Lord is working through his people, Praise the Lord.